The Unlocked, Quad-Core Processor with Radeon Vega GraphicsAMD'S newly designed Ryzen CPU's with integrated Radeon Vega Graphics, get great performance across the board with a 3.5 GHz base clock speed that can be boosted to 3.7GHz. The Radeon Vega graphics built into these new processors handle H.264, HEVC, and VP9 fully in the hardware for smooth, cool, and quiet playback. The AMD Ryzen Master lets you tune your CPU and with the Ryzen 2200G the integrated Radeon Vega Graphics. Both can be adjusted to give you that extra power you need as it gives you full control over CPU clock speeds, GPU clock speeds and memory clock speeds. The latest AMD Ryzen High Performance CPUIntelligent AMD Ryzen processors are designed to bring you the ultimate, high-performance computing experience. The latest revolutionary AMD multi-threaded processing technology gives you blazing fast performance when you work or play. Bringing GPU Power to Ryzen Processors AMD Ryzen Processors with Radeon Vega Graphics are armed with some of the most advanced, powerful computing and graphics hardware available today, fused together in a single processor to deliver the high performance you need for demanding work and serious play, without compromise. Plenty of Opportunity to overclock youR CPU The new Ryzen 3 2200G processors are fully unlocked in terms of CPU, GPU, memory, and voltage, these new CPUs are efficient 65W models, whereas most Socket AM4 motherboards can handle up to 95W, that’s some free headroom you can use to test your overclocking chops. AMD WRAITH COOLING FOR SOCKET AM4AMD have stepped up the ante with a whole new line of AMD Wraith Coolers for the Ryzen 2000 processors. This 2200G AMD CPU comes free with the Wraith-Stealth cooler that features near-silent acoustics coupled with capable thermal performance. AMD SenseMI TechnologyThis technology is a set of learning and adapting features that help the AMD Ryzen processor customize its performance and your applications. 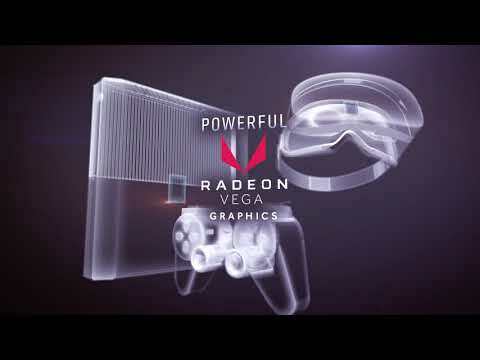 AMD VR Ready ProcessorsSelect AMD VR Ready processors unlock virtual worlds for you, thanks to advanced AMD FX/Ryzen processors that meet or exceed the requirements for VR. AMD Ryzen Master UtilityAMD Ryzen Master is a powerful tool for overclocking your CPU. The integrated GPU in the AMD Ryzen can also be overclocked for even higher performance. FuzeDrive for AMD RyzenFuzeDrive software analyzes all of the storage available on your system, from fastest to slowest and then combines these disks to a single, larger disk. Radeon SoftwareDon’t miss a second of the action as the AMD software lets players stream, share and tweak graphics settings. Stay ahead of the game. Radeon FreeSync TechnologyTear and stutter-free gaming on displays for Radeon graphics. Eliminating image tears and choppiness for effortlessly smooth gameplay. AMD Ryzen™ 3 2200G w/ RADEON™ RX VEGA 8 Graphics, S AM4, Quad Core, 4 Thread, 3.5GHz, 3.7GHz Turbo, 4MB, 65W, CPU is rated 4.8 out of 5 by 5. Rated 5 out of 5 by Lurchibles from Great for budget gaming PC Building a budget gaming PC? This is probably the best processor you can get at this price point. It's very cheap, easy to overclock and the stock fan runs pretty quiet. Dead-easy to install as well. The heatsink comes with thermal paste already applied, so you just need to screw it down. I don't know how good the graphics are, but have heard good things. If you're building a budget gaming PC you could try playing games with the on-board graphics, and then pick up a cheap GPU if you need to. The current AMD 570 seems reasonably priced and I picked up one of those alongside this, and it plays everything fine in HD. Rated 5 out of 5 by IanW from Best cheap gaming processor & general alrounder... I rebuilt my computer with a completely new insides. I used AMD Ryzen 3 2200g on an MSI B450 A PRO (full ATX) motherboard with Corsair Vengeace DDR4 2666mhz memory. Yes, slight overkill regarding the motherboard but like many other builders I wanted the better BIOS of an AM4 B450 & the long term compatibility the 450 chipsets bring. So upgrading later to a faster processor won't be a problem. Got to say I'm very impressed with this processor. It's fast & boots my Windows 10 Home to the desktop in just 23 seconds & is ready for work. My previous AMD dual core took 4 minutes! It also runs very cool when under pressure with temps in the 34-42c area most of the time, with ambient temperature in the room of 21c. Very good! When playing games, even some of the most up to date ones such as Battlefield, I can play with quite good frame rates with lots of detail, & it's pretty smooth. Obviously, not as good as a Ryzen 5 but not too far off, It's perfectly good. Just to be clear I'm using the onboard graphics to do this. I have an old graphics card fitted but I only run a second monitor from that. The onboard graphics are better by some way for playing most games. So all in all, I thoroughly recommend this processor, unless you are an out & out hard line gamer, playing online 24/7. Most folks won't be disappointed with this Ryzen processor. Worth saying that Scan Computers provided just great service meeting all the delivery times easily with good prices on all the stuff I bought from them. Well done Scan! PS. Just one thing. My processor came in a sealed box but the heat sink cooler thermal paste was corrupted with 3 small bits of grit stuck into it. That could spell disaster. Obviously, I could not use that paste so I cleaned it off and applied my own new silver oxide thermal paste. Remember to only apply a very small dot of the past in the middle of the processor. You don't need much more than a large grain of rice worth or a small pea amount (take you pick). It gives much better results that way rather than daubing it all over the processor, and it will run cool. Rated 5 out of 5 by Jabez from Good value Good value for money, fast clock speed quad core processor. Comes included with CPU fan and pre-applied thermal paste. Rated 4 out of 5 by MrRHIP from Ideal for a budget PC Cheap to use for a budget gaming PC. I intend to take advantage of the AM4 socket lifespan, use this APU to start with and later upgrade the PC as I can. Getting new GPU later and then swapping the CPU for a Ryzen 5 or 7. Be careful that some motherboards need BIOS updated and you cant do that if you dont have a 1st generation CPU. Rated 5 out of 5 by Paparazi from Fantastic all in one APU for the budget minded build Yes, we know that ultimately anyone gaming benefits from an addon GPU but what goes for the majority of internet surfers that just want a capable machine at a keen price? Enter the Ryzen 3 2200G with its built in Vega graphics engine, fast enough gaming wise for the occasional dabble into modern titles with a fast CPU 4 core clock of 3.5ghz this processor surely is jack of all trades but master of none! But hang on, isn't that truly what most users need? indeed, if you want a cheap but capable internet machine there really is no rival. A base level Intel CPU and entry level GPU might beat this little APU in outright desktop applications and frame rates but work out the numbers and the Intel machine will have cost you a considerable amount more to assemble, with a more expensive platform and additional graphics card. Go the other route and try and compete with Intel built in graphics and the Vega APU completely outclasses it. Obviously this is niche and not for everyone but if you happen to be looking in the budget sector for an internet browsing machine with occasional gaming capabilities then the Ryzen 3 2200G must be at the top of your shopping list. Match it to a super cheap A320 chipset motherboard and some reasonably fast DDR4, the 'bang for buck' is undeniable! Does this come with cooler ? Yup it does. With the Thermal Paste already applied, so all you have to do is screw it down and it works like a charm. Make sure your motherboard is compatible with Generation 3 Ryzen processors though. I had to upgrade my MB BIOS to run this processor, but it's been a dream.